I was excited to see Lesbian Matters — as we truly are in desperate need of exhibitions dealing with lesbian visual culture — but I was saddened by its lack of complexity. The illustrious lesbian photographer Joan E. Biren (JEB) once powerfully stated: “Without a visual identity, we have no community, no support network, no movement. Making ourselves visible is a political act. Making ourselves visible is a continual process.” Visual identity is critical to the lesbian community, which — often overshadowed by its male counterpart — has suffered a genealogy of invisibility and historical erasure. Even today, the term ‘lesbian’ is debated, many finding the term outdated, essentialist, and/or exclusive, instead preferring the universalizing power of the term ‘queer.’ The proliferation of queerness has even led some to believe that it negates the more fixed identities from which it emerged. Just the other day I found myself having to defend my insistence on identifying as a lesbian, while waiting for a drink at a historic lesbian bar in Brooklyn. This is all to contextualize that when I heard there was a show titled Lesbian Matters on view at the Trestle Gallery in Sunset Park, a wave of excitement came over me. Curated by Jesse Bandler Firestone, Lesbian Matters is a project by the Brooklyn-based artist Phoenix Lindsey-Hall, and explores the status quo of lesbian identity by inviting anyone who identifies as a lesbian, or wants to be included in an examination of lesbian life, to submit a personal object that signifies their identity. Collectively, these objects form Phoenix Lindsey-Hall’s installation Lesbian Matters. 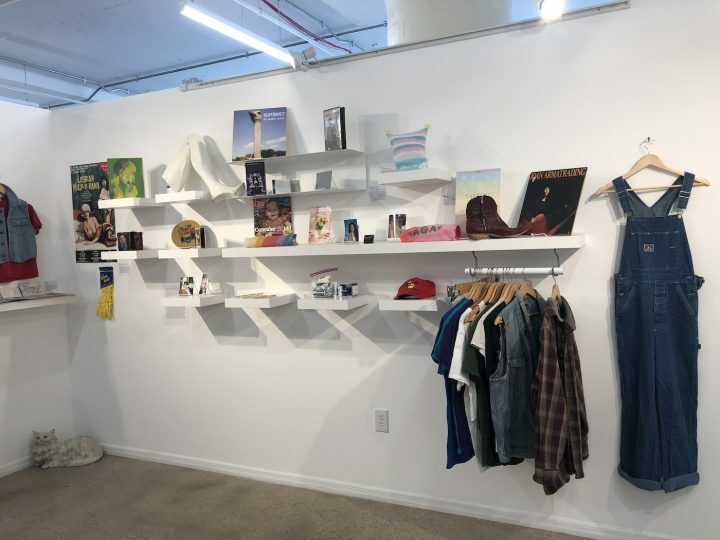 Entering the show, housed in a small room inside the nonprofit space, feels very much like entering a concept store, with white shelves and racks of clothing spread along four walls, and a large table placed in the middle. All these surfaces contain the objects that Lindsey-Hall has received throughout the run of the exhibition so far (submissions are open until April 3, when the exhibition closes). Making my way around the room, my eyes traveled past the many denim vests, rainbow-colored items, buttons containing slogans of pride, and a few “art items,” such as a pair of “ventilated rubber gloves” by a personal favorite, the artist Hannah Hiaasen. Some objects are graced with nametags and descriptions, such as two plastic bags of old testosterone tubes. One of them reads: “My transition has confirmed my identity and is very important to my lesbian identification. I am a nonbinary lesbian and my T ingestion is a huge part of that.” In the words of Monique Wittig: “Lesbians are not women,” for “woman” only has meaning in heterosexual systems of thought. Lesbian Matters provides a glimpse into familiar, if slightly cliché, markers of lesbian and queer identity. What surprised me, however, is that nowhere in the exhibition, press release, or website, any reference is made to what I had assumed to be the inspiration for this project, namely Catherine Lord and Millie Wilson’s exhibition Something Borrowed from 1995. Lord and Wilson, then partners, were invited by the organization Site Sante Fe in New Mexico to create a project on lesbians, to be part of the exhibition Longing and Belonging: From the Faraway Nearby at the New Mexico Museum of Fine Arts. Eager to create a work that would engage the population of New Mexico, the two women set out to find “fifty to one hundred individuals who lived outside the institutions of heterosexuality, and borrow from them an object of personal significance, entirely of their choosing, that they had not themselves made.” Lord and Wilson’s quest resulted in a collection of 83 objects, ranging from motorcycle helmets to brown barbie dolls. The lenders were mainly from northern New Mexico, ranged in age from 17 to 83, and included people of color and members of various indigenous nations. The objects were exhibited like curiosities or artifacts on an 800-foot wall containing small plexiglass shelves arranged in a large grid. Lord and Wilson aimed to mimic the display strategies found in anthropological and natural history museums, in order to expose and challenge the fact that “anything on a shelf with a label reads as a sign of culture, a material trace, probably stolen, of a group already declared to be other.” Adjacent to the wall of objects, Lord and Wilson installed a “map to the objects,” providing the stories behind the exhibited items, and why they held such significance to their owners. All in all, Something Borrowed provided an intimate portrayal of a community, exposing the presence of lesbians in New Mexico, as well as those few who didn’t mind being mistaken for lesbians, or wanted to highlight the importance of lesbians in their life. The artists insisted that the project was not about outing; nothing in the loan forms required the lender to be a lesbian, or even a woman. By no means am I trying to imply that Phoenix Lindsey-Hall plagiarized Lord and Wilson’s 1995 idea for Something Borrowed. Rather, I am questioning why no reference or connection was made. Was it unfamiliarity? If so, that is troubling. 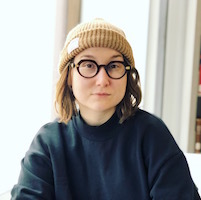 A Vice article on Lesbian Matters notes that Lindsey-Hall spent “several years conducting visual arts research and browsing the books, photographs, videos, and other items on display at the Lesbian Herstory Archives.” Yet, for a project that claims to be so rooted in archival research and lesbian ancestry, its oversight of such an important precursor is distressing. Indeed, a quick Google Search of “lesbian artifacts exhibition” alone would have resulted in Catherine Lord’s 2000 article “The Anthropologist’s Shadow: The Closet, the Warehouse, the Lesbian as Artifact,” which can be read entirely online. 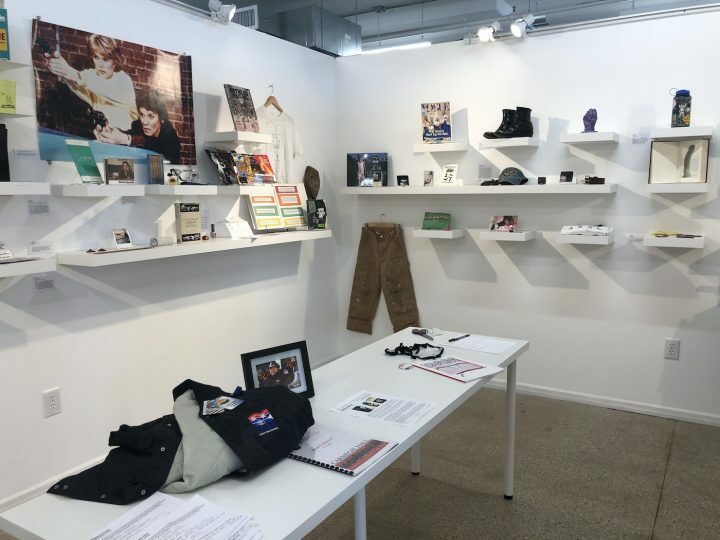 While exploring objects that signify lesbian identity, Something Borrowed challenged the dominant modes of exhibiting material culture. Lesbian Matters, on the other hand, fails to theorize or even comment on the antiquated exhibition method it adapts of examining lesbians as specimens. The store-like arrangement of Lesbian Matters turns the objects into accessories, carefully structured and neatly arranged as if for sale, but does not provide any reasoning for doing so. Should anyone identifying as a lesbian consider acquiring these items, so that lesbian identity can be performed through the possession of these objects? Or, perhaps, is the concept store the contemporary version of a reliquary? What I am missing is Lindsey-Hall’s voice. 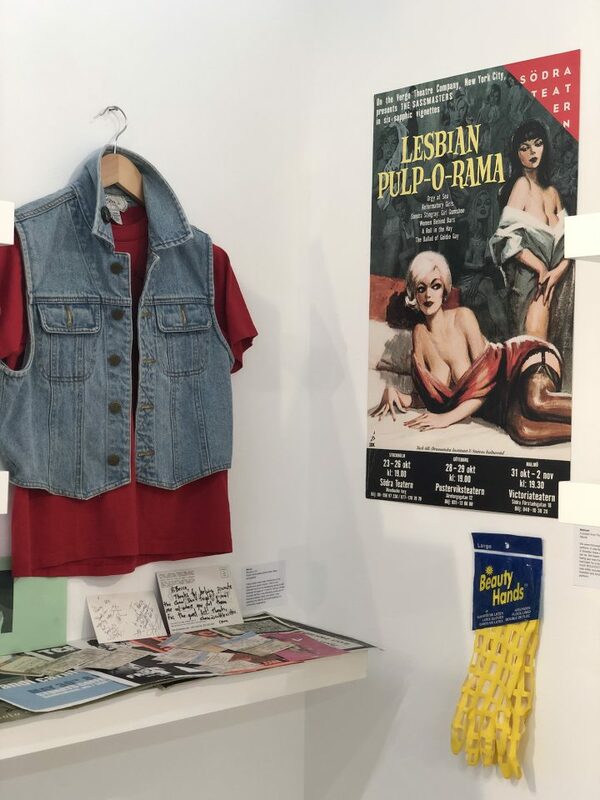 While the exhibition is participatory, I believe it could’ve profited from a more discursive approach, one that poses the question of what the ‘lesbian’ means today — keeping in mind that for some it is a shifting concept — and what is at stake if it gets lost. In her last interview before she died, Barbara Hammer noted: “we don’t want to forget the lesbian, and we don’t want her to be lost. She might not even be known in twenty years, as a population or as a language. A mode of being, a vocabulary […] this is going to be lost if there’s no lesbian anymore. After a while, nobody will even remember.” As usual, I couldn’t agree with Hammer more. 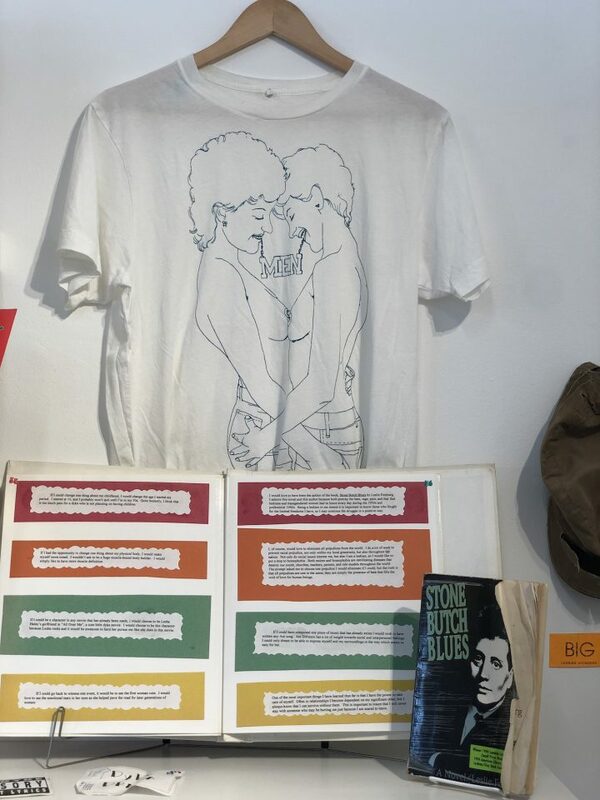 While sincerely applauding Lindsey-Hall’s initiative — as we truly are in desperate need of exhibitions dealing with lesbian visual culture — I am saddened by its lack of complexity and lack of acknowledgement of its roots. If we want to put an end to the historical erasure of lesbian identity, we need to be better at acknowledging those who came before us, precisely so that they are not erased. Lesbian Matters by Phoenix Lindsey-Hall continues at Trestle Gallery (850 3rd Ave Ste 411, Sunset Park, Brooklyn) through April 3. The exhibition was curated by Jesse Bandler Firestone.